..I’m totally Loving this little Seamstress to pieces !! 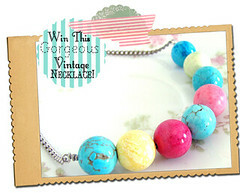 Last Day to enter The lovely Giveaway! Oh how sweet! Thanks so much for sharing her with us! I love this little seamstress! Thank you so much. Oooohhhhhh I very love this and I must find a way to incorporate it into my blog! AAAGGHH! I LOVE this one! Thanks. This little image is so cute and she is perfect for me! I would love to use it as a return address label. Thanks Keren! p.s. you can come over anytime and I would be happy to teach you to sew! Oh my goodness!!! As someone who loves to create with all things fiber (knitting, crochet, embroidery, sewing…) I am especially fond of her! Thanks for sharing her!!! How sweet she is…and so are you for sharing! May He bless you and keep you. Thank you! She is just to cute! She looks just like ME!! If I was a child and a cartoon. Thanks for sharing. I just wanted to thank you for making me smile every time I pop by! Your images are beautiful and I am constantly thinking of projects I could use them on. 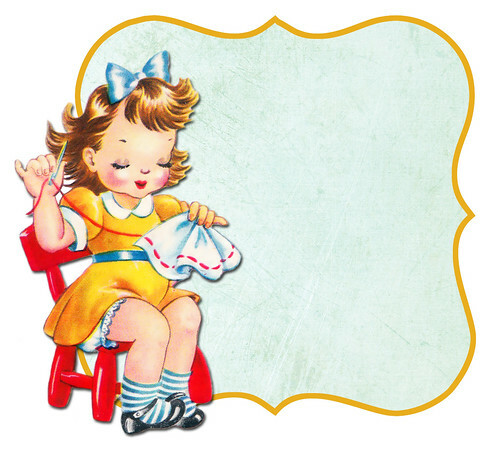 Your wee Sew My Pretty image is just stunning – and I’ve just used it for my little girl’s 5th birthday invitation as she is having a ‘crafternoon tea party’. As soon as I laid eyes on your vintage image I was smitten and knew it would be perfect. Thank you so very much!